A service to celebrate the life of Laura Lee Price Carroll will be at 2 p.m. Sunday, Aug. 26, 2018, at Calvary Baptist Church of Natchitoches with Bro. T.J. Boyd officiating. Burial will follow at Calvary Baptist Church Cemetery. The family will receive friends from 5-8 p.m. Saturday, Aug. 25 and again Sunday from 1 p.m. until service time at Calvary Baptist Church. 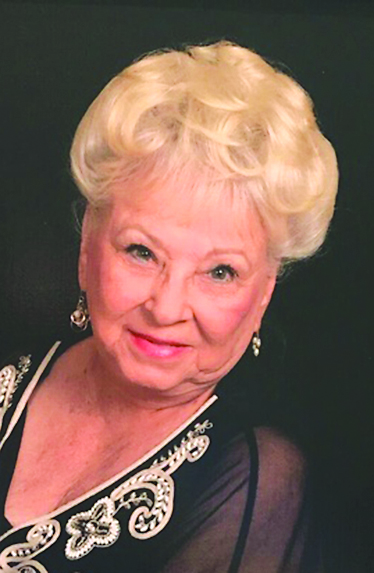 Laura Lee Price Carroll, loving wife of the late Jesse Glinn Carroll, passed away peacefully, Aug. 21, 2018, surrounded by family. Laura was born July 26, 1932, in Natchez, Miss. She graduated Natchez High School before meeting her husband, Jesse, and raising her family in Oil City, La. After her children left home, Laura began pursuing her education at Northern Michigan University, ultimately earning her undergraduate degree in Music and Masters in English, both from Northwestern University. She then spent around 20 years sharing her passion for knowledge with the children and youth of the Natchitoches area. A devout Christian, Laura served her Lord through her love of music as the organist and pianist at Calvary Baptist. Laura served as the Queen of the Grapettes of the Natchitoches Chapter of The Red Hat Society over the last 10 years and cherished the more than 20 years spent in fun and fellowship with her Red Hat ladies. Laura had a zeal for travel ignited by many years accompanying her husband around the world with Boeing. That fervor continued until the very end as she explored the country behind the wheel of her RV. Laura, the matriarch and soul of her family, is survived by her children, William Carroll (Sherry), Katherine Brunson (Joe) and Edward Carroll; grandchildren, Laurie Hall (Jason), Micki Martin (Marcus), Jesse Rook, Nichelle Hayes, Travis Carroll (Delia), Angela Carroll, Zachary Carroll, Jennifer Carroll and Ashley Gaston (Wesley); numerous great-grandchildren; sister, Sophie Polson; and numerous nieces and nephews. She was preceded in death by her parents, Jesse Lee Price and Annie Lee Price. Those honored to serve as pallbearers will be Timothy Clark, Jimmy Amons, Joey Carroll, Travis Carroll, Zachary Carroll and Rodney Achord. Honorary pallbearers will be Gerald Andrews, Jim Bryant, Tommy Clark, Buddy Spaulding, Chipper Spaulding and Ralph Spaulding.